It’s happened to all of us—you’re in the shower and inspiration strikes. You struggle to remember when you get out. Sometimes you’re successful, other times, maybe not—but why is the shower such a prime place for inspiration? Let’s take a look, and see how you can harness that brilliance other times, too. It wouldn’t be an understatement if I said that many of my best article ideas came in the shower, and I know the same is true for many of my colleagues. We all deal with that in different ways (and we’ll get to some of those methods later) but first, let’s look into why inspiration seems to strike in the shower of all places. We’ve touched on the science of inspiration (and how to make it work for you) in the past, and some of that applies here. Let’s explore how inspiration strikes, other places we tend to be inspired, and some ways to tap into that creativity and harness it whenever you need to. 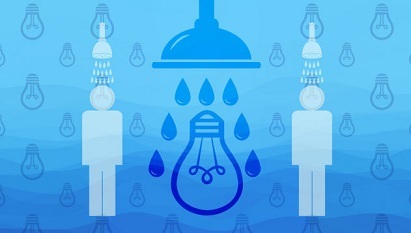 So why do we always seem to have great ideas in the shower? The short answer is that it’s all about meditation—or at least, putting our minds in a semi-meditative state. In the shower, you have an established routine. Your mind is free to wander while your body goes through the motions. 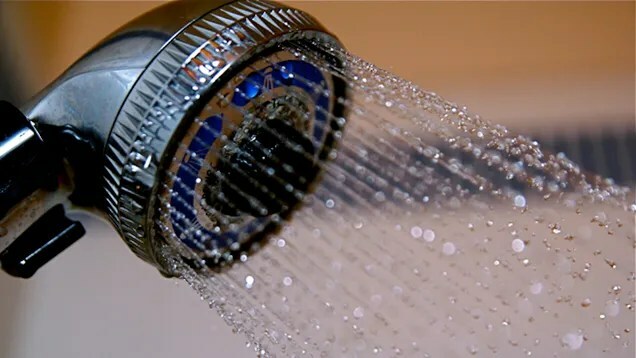 It’s also a relaxing experience, and the combination of those two things—along with some brain chemistry that explains why taking a good shower feels so refreshing—are the perfect environment for ideas to spring forth. There haven’t been a lot of experiments on why we get random insights, but psychology does have a theory that describes a mental state that seems to foment these kinds of thoughts. It’s called the default mode network. The common thread in these activities is they are physically or mentally active, but only mildly so. They also need to be familiar or comfortable enough that you stay engaged but not bored, and last long enough to have an uninterrupted stream of thought. Kounios explains that our brains typically catalog things by their context: Windows are parts of buildings, and the stars belong in the night sky. Ideas will always mingle to some degree, but when we’re focused on a specific task our thinking tends to be linear. In short, even things that you see everyday can suddenly inspire you with a new and fresh idea when the time and atmosphere are right. We touched on this point briefly when referencing a piece by Leo Widrich over at the Buffer blog on the same topic. Leo leads us to a point that’s important to remember—it’s not just showering where this kind of relaxed, inward-thinking brilliance happens. Any time you’re both relaxed, distracted, and in a good mental place can be a great time for good ideas. Perhaps your meditative state comes from cooking, or cleaning. Maybe inspiration comes to you on long drives to visit family, or on plane trips where you have nothing else to do. Whenever it is, recognizing the conditions that make those ideas possible is the first step to harnessing them anytime you need them. Once you understand the semi-meditative state required, it’s a little easier to create situations where you can let your mind wander a bit. Of course, you could always hop in the shower whenever you need to do a little brainstorming, but not all of us can do that in the middle of a workday. Instead, look for other things that you can do that offer a meditative break. For example, maybe you can take a quick walk to clear your head. If you work from home, maybe a little tidying up can give you room to think. Even daydreaming is great for your brain. After all, regular, real breaks from your work are essential to staying motivated and creative. It’s only when you get a chance to disconnect for a bit that your brain can take a fresh approach at the issues you’re banging your head against. … when you are working on a problem your brain tends to fixate on one or a few different strategies. Kounios says these are like ruts that your mental wheels get stuck in. 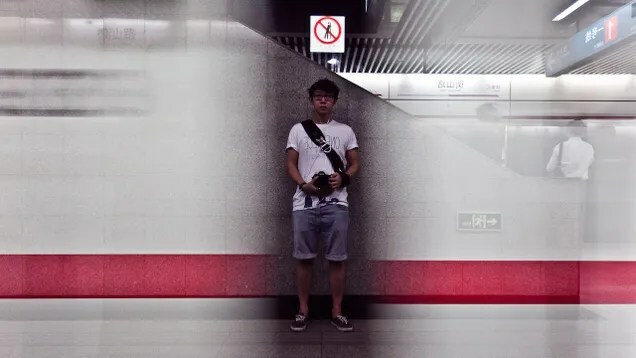 “If you take a break however, those thought patterns no longer dominate your thinking,” he said. The problem gets removed from the mental ruts and mingles with other ideas you’re carrying in your head. Eventually, it finds one—or several—that click together and rise up like Voltron into a solution. This is called fixation forgetting. Shower thoughts aren’t always attached to a specific problem, but fixation forgetting still helps psychologists like Kounios understand those random cocktails of revelation. It’s not clear how your brain decides which are the right connections, but it’s obvious that the farther your brain can roam, the better. Research has shown that your brainbuilds bigger creative webs when you’re in a positive mood. This makes sense, because when you’re anxious you’re less likely to take a chance on creativity. This is partially why mediation usually isn’t the answer to your brainstorming quandaries. Sure,there are ways to quiet your mind when you need to, but part of the goal of meditation isn’t to clear your mind so you can brainstorm, it’s to clear your mind. Instead, you need to find activities that also provide a little activity, but not so much that you need to be mentally dedicated to them. Time of day matters as well. Mental Floss explains that the grogginess and mental fog of the early morning or late evening aren’t conducive to ideas, largely because they’re when we’re most tired or rushed. Instead, try the evening, during a break, or after work. The downside to seeking out those inspirational moments is that the act of setting them up often undermines your intentions. It’s like your brain knows you’re trying to turn otherwise mentally idle time into mentally active time, and as a result the ideas won’t come. This is why you may find your walks less inspiring after you decide to take a notebook along. The trick to capturing ideas when they come is a bit more complicated than that. You should make it easy to record those ideas, but you also have to trick your brain into forgetting that notebook is there. Keep your notebook out of sight, and don’t focus on it when you go for your walk. If you don’t normally take anything on your walks, don’t take a bag just so you have a notebook—find one you can slip into your pocket and forget about. If your ideas come in the shower, get one ofthose great waterproof notepads we’ve mentioned before, but put it on a side of the shower you don’t normally face. The key is to make the process easy—so easy that your brain doesn’t feel like it has something to do when inspiration finally strikes. Remember, if the whole point is that ideas come when you’re otherwise distracted or mentally idle, giving the brain a task, even if it’s “find inspiration,” disrupts the process. Finally, while it’s important to make those moments as easily accessible as possible, don’t forget that creativity is a process. It’s not easy—you need experiences to inspire you, problems to solve, and even a little pressure to get the mental wheels turning. Sometimes, you just have to show up and start working, and let inspiration come when it comes. Tags: getting inspired, Getting inspired in the shower, harnessing ideas. Bookmark the permalink.